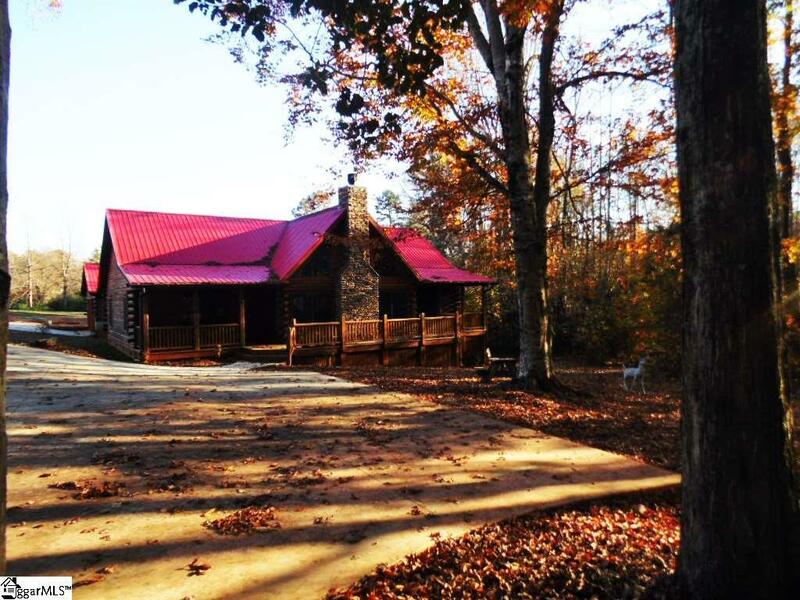 Come home to your beautiful Southland Log Homes with soaring rock fireplace in the large open, split floorplan. Fireplace is natural gas logs but can be converted to wood burning if desired. 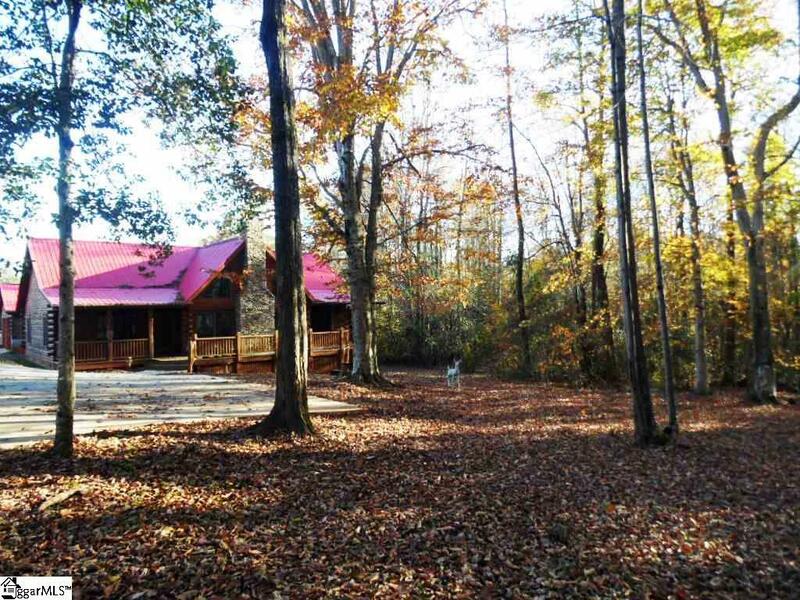 Set on 6+ acres in the very popular Travelers Rest. Minutes to the walking/biking Swamp Rabbit Trail and convenience to shopping and downtown Greenville. Beautiful hardwood flooring and ceramic tile throughout. Covered front and back porch with natural gas grill hook-up on back porch. Large workshop and older home on property currently being used as a wood-working shop. Extra concrete pad with camper hook-up. Tankless natural gas hot water heater. Tongue and groove pine wood flooring. Ceramic tile shower and jetted tub in master bath. 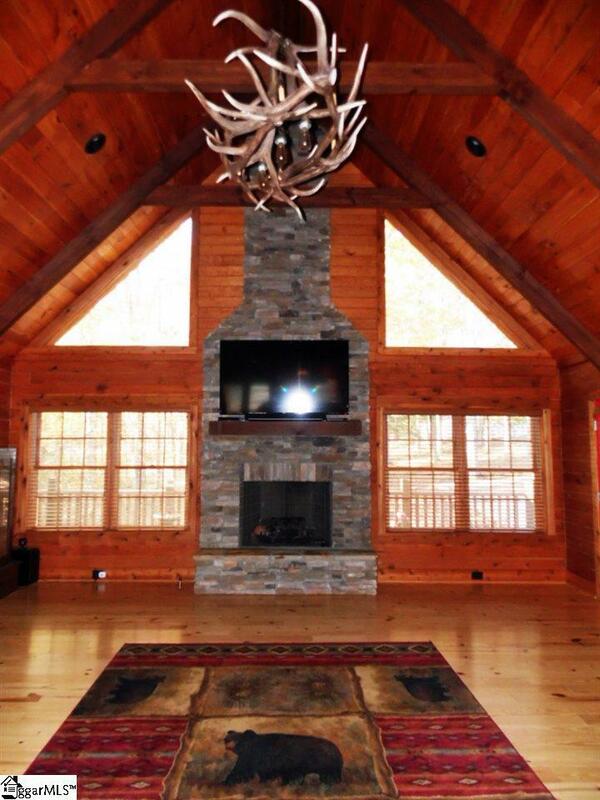 Surround sound and large screen TV stay. Extra large laundry room with sink. Logs have been dipped with termite/pest treatment when built. 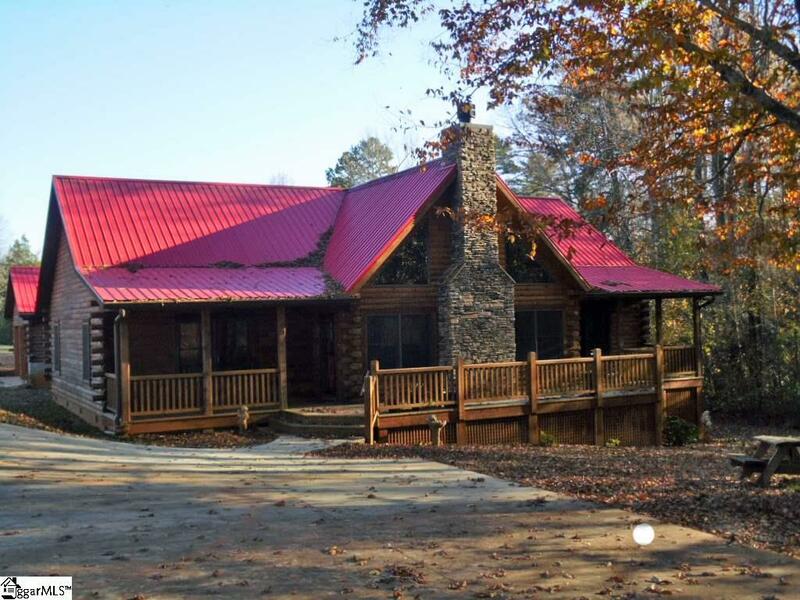 Call for your appointment to see this beautiful log home! Listing provided courtesy of Sandra Stroud of Brand Name Real Estate Upstate.